Because they cover all the aspects of the life of a child, all the articles of the Convention are important. It specifies the commitments made by adults to their young ones, for their happiness, health, education, balance and capacity to lead a dignified existence. Amongst these, article 42 is fundamental, because it explains in diplomatic terms that it is not enough for States to sign and promulgate the Convention, it must also be made known to and understood by all its citizens! Article 42 The States parties undertake to make the principles and provisions of this Convention widely known, by appropriate and active means, to adults and children alike. That your country made a clear, precise commitment and that it must be respected! Is article 42 therefore very important? Yes, because it confirms that the beneficiaries of the Convention (the children), like the people responsible for its respect and implementation (the adults), should receive adequate information that can be understood by everyone. In other words, the official text of the Convention that is inaccessible to children and often difficult for adults that are not specialists, should be ‘translated' in terms adapted to the different groups of people. What should a country do to respect article 42? Because it is not easy to inform children and adults about the Convention. Because the establishment of support adapted to the needs of different members of the public requires heavy investments in time, abilities and budget. Because the stakes are too high for it not to be reflected in terms of concrete solutions. In order to offer the States to have the active and appropriate means they need to respect their commitment, the UN High Commission for Human Rights and CyberDodo have therefore started up a partnership and worked together for more than 10 years in order to establish the global communication tool ‘CyberDodo, the Defender of Life'. What messages has CyberDodo developed? But we must not forget that about 4 billion people do not have access to the Internet and also have the right to information which is guaranteed by article 42. 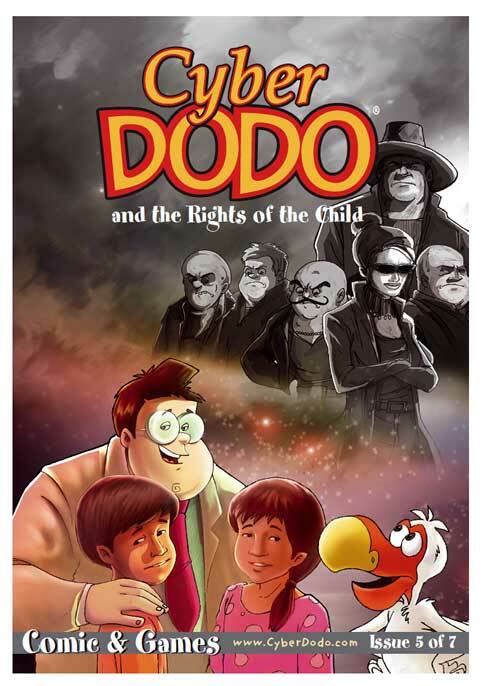 The CyberDodo team particularly developed Edupack for them, because there is no better place than school to learn about your Rights (See the casefile with focus on Edupack). How does the CyberDodo global communication tool guarantee the dissemination of information? Because each human being is unique, CyberDodo offers countries, organisations, associations, schools, people, etc. a wide range of different information available in complementary media formats with a common aim: to entertain and inform (Edutain). Environmental degradation and increasing pollution have not just had devastating effects on living creatures; our heritage is also under threat. Here is a CyberDodo case file to help you understand this phenomenon.